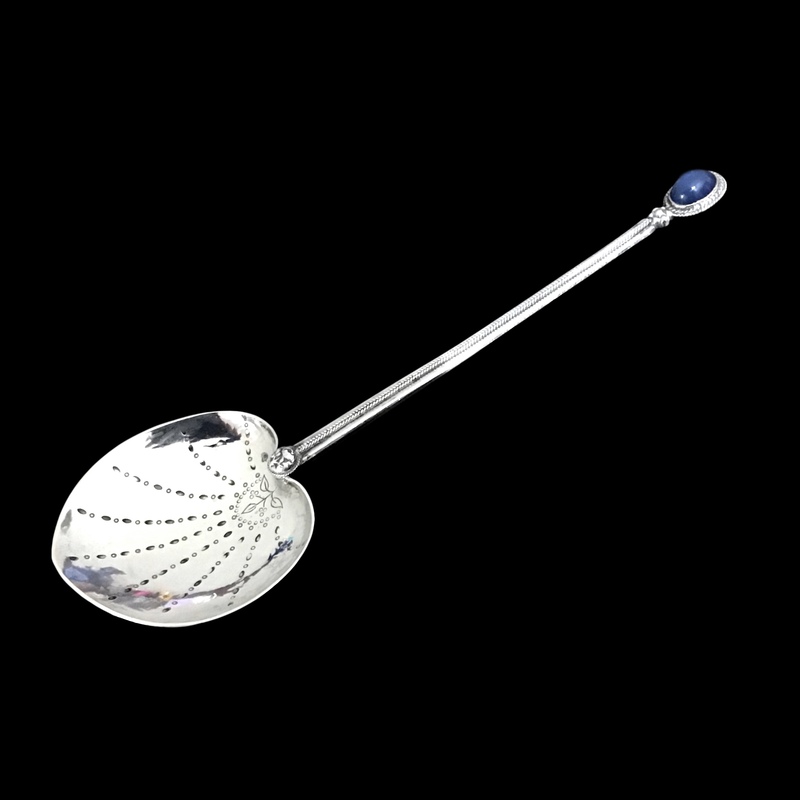 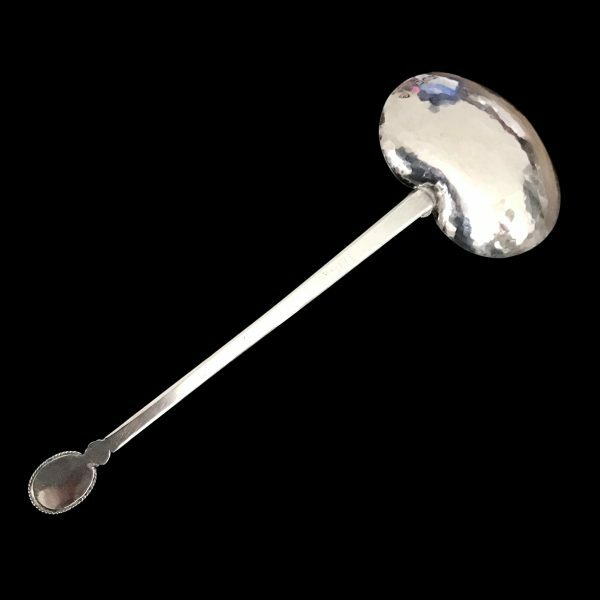 A very large Artificers Guild silver spoon set with a blue stone (maybe glass) terminal. 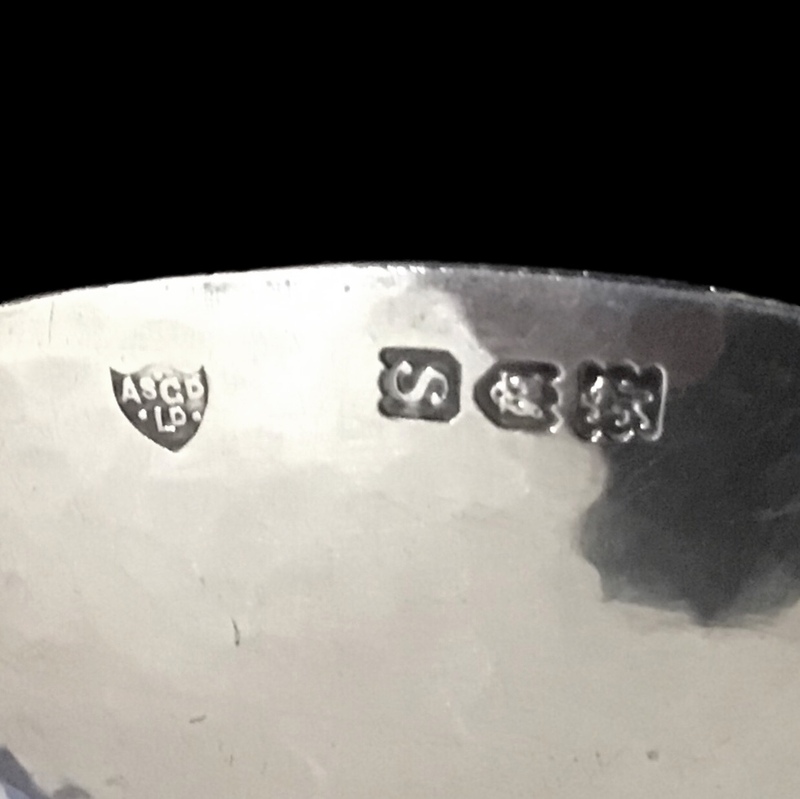 Fully hallmarked for London 1913. It is a heavy gauge of silver and beautifully made and hand hammered with classic wire work design to the handle and flower roundels to both ends of the handle. The bowl has engraved decoration.